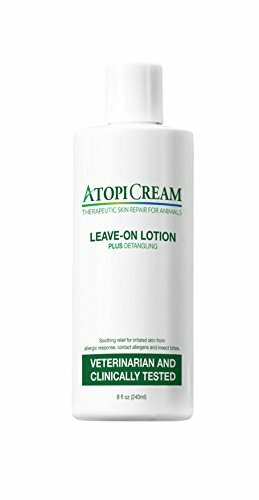 With VetriSpheres micro-encapsulation technology, AtopiCream provides soothing relief for irritated skin from allergic response, contact allergens, dry skin, abrasions, skin irritation and insect bites. If you have any questions about this product by VetriMAX, contact us by completing and submitting the form below. If you are looking for a specif part number, please include it with your message. Isle of Dogs Coature No. 50 Light Management Dog Conditioner for Dry Hair, 8.4 oz. Chris Christensen Colestral Jar, 16 oz.